If you live in NYC and haven’t been to the Rockaways, you need to add it to your list ASAP. Not only is it super easy to get to, but it only costs you the price of one swipe on your Metrocard. I’ll take that over a $50 jitney any day! First of all, let’s talk about how to get there. If you’re leaving from the Upper East Side, it’s a bit of a longer trip, usually taking around an hour to an hour and a half. While there are quite a few ways to get there, you can check the day of via GoogleMaps, but from my experience I’ve found that the easiest option is to take the 4/5 to Union Square and transfer to the L. Take that all the way to the Broadway Junction stop and then transfer to the A to Far Rockaway or Rockaway Park Beach. This will take you all the way to Broad Channel where you’ll need to transfer to the S to take you to 90th Street Beach. Though it seems like a lot, it truly is seamless and the time goes by pretty fast. If you’re leaving from Brooklyn it’s a whole different story. We typically board the L train at the Graham Ave stop and take it to Broadway Junction where we then transfer to the A to take us to Broad Channel to the S. All in all, this takes around 30-40 minutes, which is not bad at all. Again, there are many ways to get there via the JMZ and others, but ultimately the A is the only train that will take you to Far Rockaway/Rockaway Park Beach. 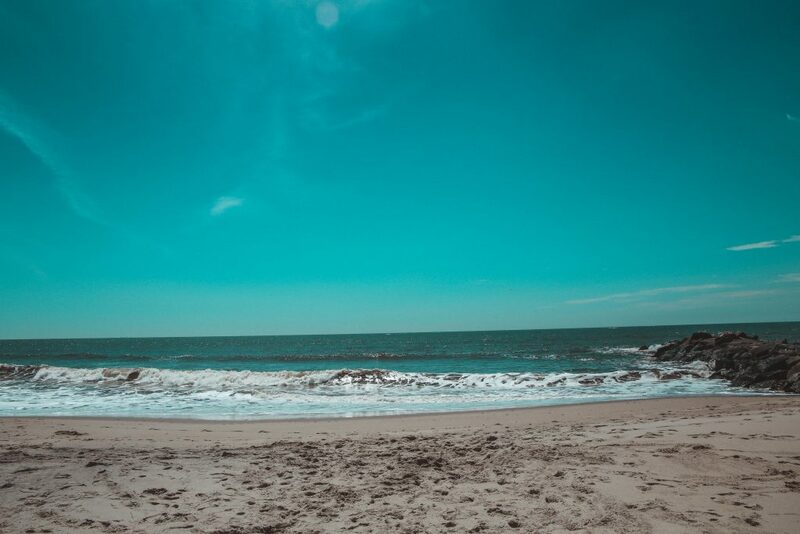 Now for my favorite part – the beach. 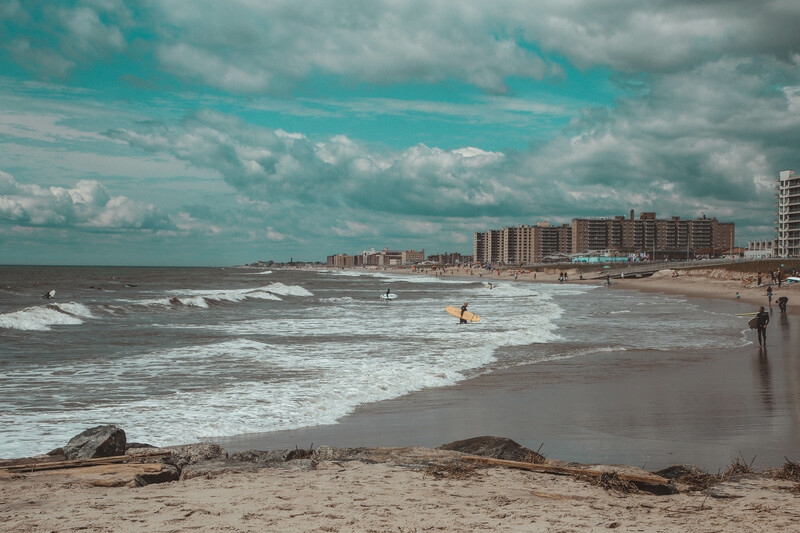 We usually get off the subway at the 90th Street stop, which is about a 5-7 minute walk from the beach and is also conveniently located right near a CVS, which is perfect for picking up any last minute snacks or to-go beers for the day. Around the beach there are small houses that you’d find in a small beach town, as well as older high-rise apartment buildings. Overall, the area is nice and is definitely up and coming. As for the beach, the area is vast and can often be found covered in people in the midst of the summer. If you’re looking to head here on a Saturday in the warmer months, I highly recommend getting here early as it can often be hard to find a place to sit. Also, if you’re interested in having a few drinks on the beach during the day, it’s essential that you either conceal it in a water bottle or bring along some plastic cups, as you’re not allowed to have open containers on the beach. The water is just as you’d imagined – freezing, until about the end of August. 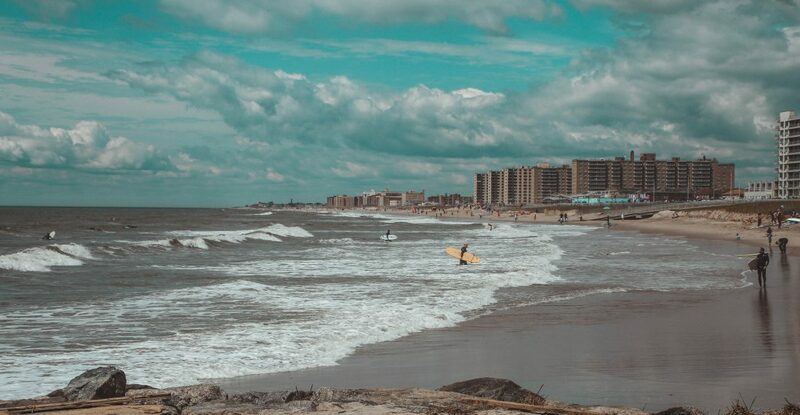 But, that never deters people from going in, as it’s usually pretty crowded and select areas can be found flooded with surfers. If you get tired of the beach, you can head to one of my favorite spots in the Rockaways – the Rockaway Beach Surf Club. 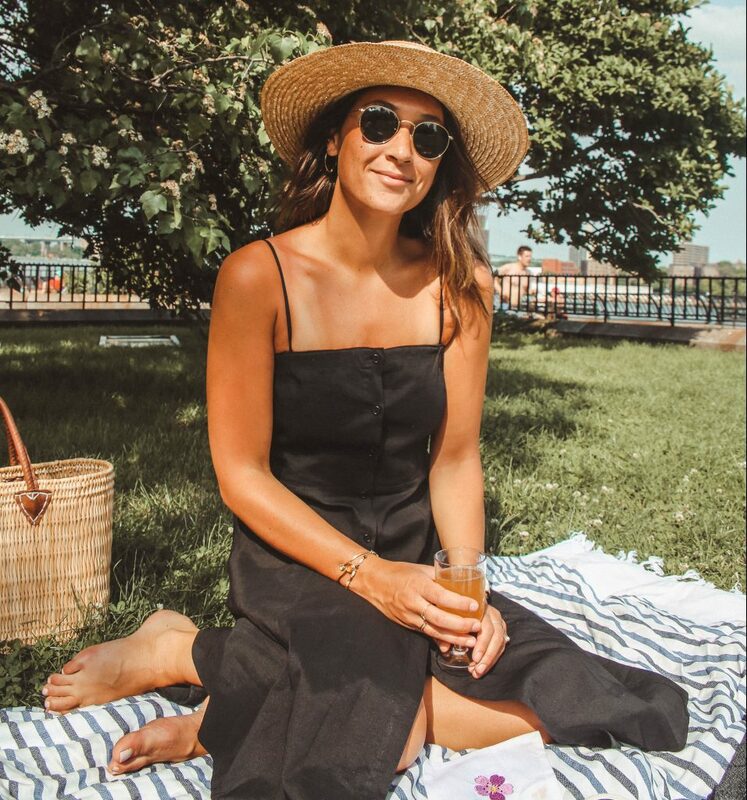 Conveniently tucked away right near the 90th Street subway stop, this local surfer bar is decked out with a taco stand and a great outdoor area where you can enjoy the fresh air and a fresh drink. Seriously, this place is too cute and is where I discovered my favorite beer – Big Wave. I always end up here after a long beach day and it never disappoints. 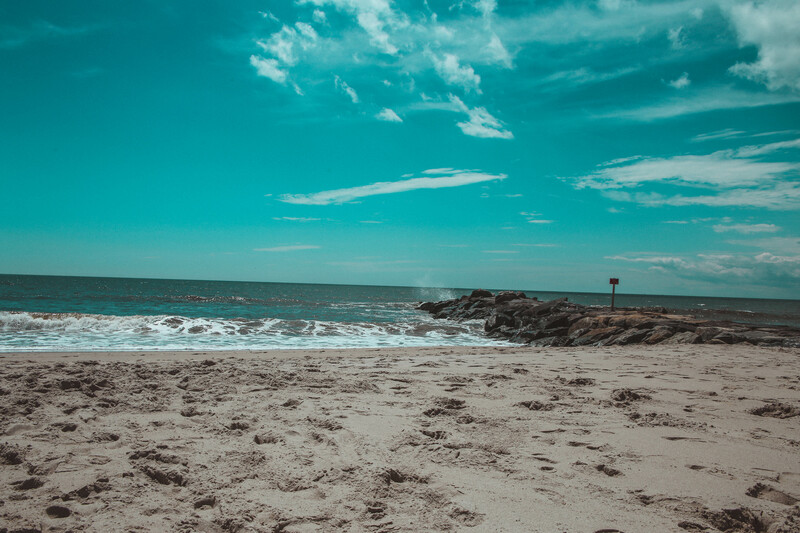 So, the next time you need an escape from the city, or just desperately need some ocean air, I highly recommend hitting up the Rockaways for a day away.